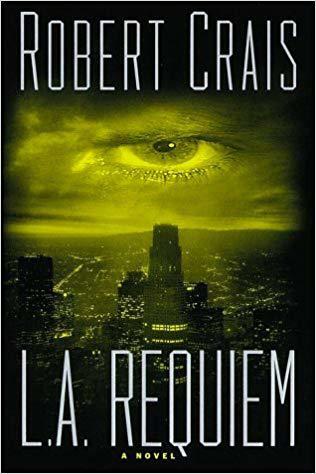 Robert Crais returned to the program in 1999 to discuss a book that represents a pivot point in his career. His previous books featuring the Los Angeles based PI Elvis Cole had been almost light hearted in comparison to the novels that were to follow. The publication of his book "L.A. Requiem" twenty years ago marked a sea change in this series and even in the characterizations of Elvis Cole and his sidekick Joe Pike. This book was much darker and Joe Pike began assuming a larger role in the stories. Crais employed a new technique for him; flashbacks, as readers were taken back to Pike's troubled childhood. Elvis Cole toned down his wise cracks as well. Over the years Robert Crais has made many appearances on the program. In fact there are only a couple of writers who have appeared on the show more times than Bob. As you listen to this interview you'll notice that we have an easy rapport that has continued to this day. Robert Crais has spent the past 25 years crafting his best-selling series of crime novels featuring the private detective Elvis Cole and his brooding sidekick Joe Pike. Now and then Crais will take a break from the series to publish a stand alone novel that isn't connected to Elvis or Joe. Of course he still chooses to set these stories in that beautiful desert city on the ocean, Los Angeles. In 1996 Robert Crais embarked on his first national tour for his novel "Sunset Express." He came through Dayton and stopped by the WYSO studios for a live interview on the Book Nook. That was his 5th novel. He was really just getting started as a novelist following a successful stint as a Hollywood screen writer for programs like "LA Law" and "Hill Street Blues."